Ultimately we are all in sl to communicate , when there must be at least one full sim for every user its not exactly easy to find someone to communicate with . The destination guide is the most useful feature for a newbie because it shows places to go where you might actually find someone else . People not places make SL and i would love to see the destination guide expanded so we can seek others of similar interests instead of being herded into specific regions . I spent 17 months wandering , the search facility is useless , so i click on peoples profiles and tp to their picks - sometimes - just sometimes the sim in their picks actually still exists , though you could probably build a house in the middle of the dancefloor and nobody would notice for months . What i'm saying is SL is to big , if you book a hall that holds 1000 people for a party of 20 its never going to be a great party . It does need more people, but I think the main problem(and this is coming from new users, as those of us quite used to sl, who have been here for ages, may easily forget these things) is that people don't know what to search for, or rather,don't know what they should or want to search for, it can be a lil overwhelming. It's actually a lot easier to find places where people are, if you don't know what to search for (which isn't a bad thing, promise ) to open the map and look for green dots. In fact, that's a fantastic way to grid hop. Should you find yourself somewhere you don't want to be, tp back to wherever you were(or somewhere else anyway) and try again. Sometimes just the trial and error of it can be fun....sometimes not, but it's worth a shot. I have found tons of awesome places just doing that. However, I would *never*(and I don't believe anyone should, especially LL) recommend the destination guide for anyone, let alone new users, to find places with people. The destination guide is NOT actually a very good representation of current users' likes, dislikes, places most visited, popular places, etc..It's actually a pretty crappy "guide", and the places are added by LL themselves, not users. It's long been understood that LL doesn't know their own platform, or customers, so it stands to reason they wouldn't know what users, new or not, are actually looking for (that sounds like a nasty insult, but it's not, it goes back to my post above and what LL really needs to do). The destination guide has not been a very good representation of, well, anything, especially "how many people are on/like this place". If you go through the guide, you'll find that MOST of the places listed there either no longer exist(or moved, so they no longer exist at *that location), or are completely empty and pretty much sit that way all the time. It's wonderful if you want to find an empty place to take pics, but that's the only reason I'd ever tell anyone to go there, lol. As crappy as search might be at times, it's still way better than the destination guide, which is pretty telling. For some folks sl is actually made from the places, the experiences, the things to do, and not necessarily the people. But for plenty of others, probably most people, the people make sl what it is. So, for those folks, it doesn't matter if it is a hall made for 1,000 and only 20 are there, because those 20 are enough, so to them, it actually IS a great party. There's some level of quality in those 20 people that some feel 1,000 people may not actually meet. Make sense? Me, personally, I don't want to go to a party with 1,000 other people, no matter what size the hall is. I want to go to a party with a quality 20 people, or even less, because then I might actually have fun, I might be able to interact with them all, I won't be wandering around wondering why these other 999 people aren't talking to me, etc.. Of course that still happens when there's only 20 people, but the likelihood does drop. It all depends entirely on what individuals want their own experience to be, though, which can be really hard to explain to new people that come into sl and expect to find large crowds immediately, and then get sorely disappointed when it doesn't happen. I can understand their frustration, entirely, but it may be that they have expectations sl has never met, or could never meet as the case may be. So expectations play a pretty big role too, not that anyone could assist people, new or old, with expectations-that's all on us. SL is on a decline, but I think it has been a much slower decline over the last 5-7 years than prior to that. A lot came here in 2006-2008 thinking they were going to make their fortunes. By 2010-2012, many of them got disillusioned and left. Since then, I think the rate of exit has slowed. New user retention is still a real problem, especially when so many seem to come here expecting a Facebook-like app with avatars or expecting it to be some sort of dating / hookup site. Since all things fade over time, I'm not sure there is anything to be done about it. By the same token, i still think it has another decade or so of life left in it. Like Candice, pretty much nobody in my RL knows about SL - nobody other than immediate family members. Too many of them have negative impressions of SL simply from articles they saw a decade or so ago. I don't know if the stigma is quite the same with the younger crowd, but I think much of it is still there for the ones in their mid 30s and older. Nope. Communicating is actually way down on my list of the reasons why I'm in SL and the things I do here. I play Barbie dress-up and I amuse myself with exploring & doing hunts. I'm not much of a communicator in RL and that aspect of me holds true in SL also. See, I have the opposite experience, mostly lol. I tell all kinds of people about sl. I shoot down (not literally, lmao) people that think only negative things, or only reiterate negative things they've "read or heard". It's super easy to show people the fun things about sl. But I can understand exactly why some people like having sl to themselves, so to speak. It is their escape, their entertainment, their time for themselves, and they may not want people to think negative things about them for being here. There is a LOT of misinformation and assumptions out there about sl, always has been. So that kind of approach makes total sense to me, even if it may not be my own. I have quite a few friends that feel the same. I'm just an oddball, lol. While some might feel SL is in decline - and certainly it's undeniable that sims have shut down, but so too have others re-opened while new ones have popped up, etc etc - since my first brief experience of it in 2006, I can't honestly say that my 'second' Second Life has been a disappointment in the slightest. Then there's the large rental businesses in SL - the good ones always seem to be filling practically to overflowing so that they're having to buy up more sims just to keep up. Doesn't seem to back up the decline theory, but perhaps there's other things I'm not aware of (in fact, I'd bet on it). If anything, though, I've personally been busier than I could have imagined this time around - but then again, I had no idea I'd find myself sim hopping with a camera when I returned a year ago, so it always takes me by surprise when I hear someone say they think SL is 'dying' or in decline. That's just not been my experience this time around. In fact, it's just been just the opposite - there's some lovely looking sims that I haven't been able to photograph because the lag on them is simply unbearably awful (or at least my machine seems to think so, at any rate). Then there's the number of newer residents seemingly daily popping into various mesh body and head group chats to ask questions (not all are new residents though; I'm sure some are oldies dipping their toes in to mesh waters for the first time, which, to me, is just another great sign of SL's longevity). Perhaps it has more to do with people not knowing what's available to do (which goes back to knowing what to search for rather than trying to rely on a somewhat haphazard and outdated 'destination guide'). Just plonking yourself into something as massive as SL, with it's near limitless possibilities, can seem daunting without an armory of well-presented information. Most of us have been there. If in doubt, there's always the Builder's Brewery and if a person has a platinum blonde brain like I do when it comes to anything remotely technical, then the worst that can happen at BB is they'll meet some very patient and kindly people who will no doubt make suggestions and recommendations to help them find their way. Thing is, I believe everyone can find their 'niche' in SL - if only they knew what to search for and where to search for it. If that aspect was tidied up a bit it could only continue to extend SL's life by several decades - if not for as long as computers exist. Personally, I can't see SL dying. Ever. Cycles, yes. Dying? Just can't see it happening. It is my hope to get the conversation started and try out different approaches before we hit the threshold point. I don't say you yell "the sky is falling" again as many threads before during the years, but it gets really close to it. All good advices and discussions about this lead to nothing. And nothing this small userbas on the forums suggests isn't going to happen. A handfull of people that want to be nicer to noobs won't be noticed on the figures to keep new players inworld, and thats also, i think, the real problem. People who are interested in this virtual happening will do a lot to get it in their fingertips, ánd they stay. But there is a new generation since 2006, the little snowflakes want it now, not yesterday, but now and preferably in fact waiting for them the moment they haven't even pushed the sign up button. Wé residents are only the users of SL, the marketing is bad, and in fact never hit the roof for excellent promotion. There is away where SL can be promoted, but it has to be real, not only the sweet and smiling photoshopped pictures we see on the main page, SL is a lot harder/rougher/...i'd say a lot more like Real Life. It's a fun great way to lead your life here, but it's hard work!. SL is a lot harder/rougher/...i'd say a lot more like Real Life. It's a fun great way to lead your life here, but it's hard work!. You're on to something. SL could be promoted as being hard. "Played all those games where everything is preplanned? Where you have the same experiences as everyone else? Bored with just shooting and being shot? Take it to the next level. Try Second Life, the really open world, where we do it all ourselves. You can roleplay. Run a business. Create clothing, buildings, vehicles, and even your own avatar. Build your own house. Build your own town and run it, if you're good enough." "It's not easy. When you enter Second Life, it's like moving to a new city. No one tells you what to do. You have to figure it out. There are hundreds of options. Hundreds of square kilometers of play area. Who are you? What do you do? Where do you live? You get to decide." "Then you have to get good at what you do. Want to design and build a house? You'll need architecture skills. Real ones, not something you get by level grinding. Want to design clothing? You'll need quite a bit of skill to compete with the fashion designers. Want to build a warship? You'll need to learn more than a little about real ones. This place can be hard." 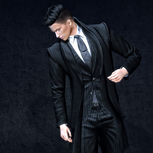 "Within Second Life, there are games, adventures, and communities. All created by us, the users. You can join, if they'll have you." "Your first day will be confusing. Your first week may be puzzling. After the first month, if you make it, you may stay for years." ...and yet some pleople stay ... why did you stay? This is what I mean by the possibility of SL looking to a more technical audience. This would put me right off. Not that it's not true, but if it had been how I perceived it, how it was sold to me, back in 2007, I'd never have set foot in the place. I didn't come into SL because I was looking for a technical challenge. I came in because it was new and I was curious. Once I discovered roleplaying, that was it. I enjoy round the table RPG and bringing it into this new dimension was terrific fun. But if I'd been told that SL was a sort of dungeon challenge where only the best and bravest survive, I wouldn't have come in at all. I'm not technical. I'm not a builder or scripter and never will be, but I do think people like me still have something to contribute here. If nothing else, I've certainly contributed to the economy. I had an inworld job last time and while I've never spent crazy amounts, I was happy to pay for roleplaying costumes and props and to donate to the sims I RPed in to support them. I was also a valued role-player in my communities, with some designated roles in the Marvel and DC sims. I think it's better to keep it marketed as something much more accessible and with possibilities for everyone, but perhaps with a bit more support at the beginning? Or maybe there is that support now, I don't know. To an extent, SL is an experiment. What do people do when they can create and do anything? And what sort of community evolves as a result? You could interfere with that if you want, but it changes the entire nature of it. Eve Online tried that approach. The result was actually pretty similar to SL; a wonderfully terrible, complex sandbox game with a niche playerbase that never truly explodes in popularity, but has incredible longevity. All attempts to make it more "accessible" and smooth out the learning curve made no difference to the player count, and instead made things incrementally worse for the existing playerbase. There's a vast number of differences between SL and Eve, of course, but it's probably the closest analogue in the ways that matter. There is a tendency in this thread to view marketing SL as a single advertising strategy: all or nothing in one direction or another. "It could be marketed as difficult!" "But that would have turned me off immediately!" etc. Marketing SL is like marketing humanity itself. All life is here. No matter how cynical or jaded one is, one cannot envision a single, snappy ad campaign that encompasses all of humanity. I'm sure some of you might attempt it ("They're warmongering, but they love peace!" etc) but in truth - forum witticisms and lol reaction-scoring aside - it's not possible. I honestly don't see the next generation being interested in virtual worlds, unless (possibly) they can access them on their phones. Attention spans in general are not what they were, and once something has been associated with those of their parents' age by way of their parents now using it (eg: Facebook, Whatsapp, etc) kids will move on, because who wants to be where Mum and Dad are? The challenge idea is good, but it's only one of many that would need to be considered. I love this! For me this is a very good description of SL. I get why some say this seems hard technically. But I'm not reading it that way. To me it just says SL isn't easy. That nothing is given to you on a platter, but I like a challenge. If I'm not challenged I'm moving on. And that is SL. I think part of the problem with retention is that people just trying out SL for the first time have no idea that to enjoy SL you must really invest yourself. You need to know what you enjoy and then go out and find it or make it happen. Too often I hear complaints that SL is too complicated. I even hear this from Lindens who suggest that the level of work put into customizing avatars in SL is too complicated. I embrace anything that makes me think or work harder. As a person very near elderly status, I want to be challenged mentally because I believe that's what keeps us growing and mentally alert and dare I say it, young! I tell nearly everyone I know in my RL about Second Life. Sure I get those looks from some who don't get it. But through the years I've won people over when I show them what I do in SL. Recently, my son needed a short term loan. I told him sure but remember I only have this money to loan you because of Second Life. I often tell people who only have a negative image of SL that SL is like real life. Everything you can find in RL is in SL. So if you have a problem with brothels in SL and consequently won't try it out then you must have an issue with RL as well. I've been in SL so long and it's such a part of my every day existence that I can't imagine not checking into SL to chat with friends, set up a new home, shop an event, or dance at live music event. I truly hope I never have to reach a point where I can't log into SL when I want to. In closing, to get back on topic, I love the idea of promoting SL as a challenge. That way noobies come fully expecting to have to put in some work to enjoy the experience. But it wouldn't be fair to give them a challenge unless you up front give them the tools to address that challenge. So offer better tutorials at first login. I'd love to see a mentor system reestablished as well. It is nearing the end of the year and like clockwork yet another doomsayer pretending to give a carp shows up. Also like clockwork this drags the very sorts that shouldn't have too much of a say in how the platform is run/what improvements are made out of the woodwork. And Solar being Solar, wet blanket and all! And what "sorts" of people, exactly, do you think don't deserve a say in how SL might be improved, Solar? What are the criteria that land you a coveted place on the "Solar Approved" list of people who get to express an opinion? "Glib" and "snide" are not answers, Solar. They merely record your all-too-frequent disdain for the opinion of anyone who disagrees with you. Care to try again? Or shall we assume that ad hominem is the best you can manage? I'll answer when you have an actual question to ask instead of trying to lead/steer things. Though nice to see you're still reading things into my responses that simply do not exist in the actual text. Enjoy the holiday instead of trying to bait people. ETA: To make it crystal clear - I don't discuss anything with those who have ulterior motives. I asked, and I'll ask now again, to define the "very sorts that shouldn't have too much of a say" in the future of SL. I'm reasonably sure that your reading comprehension extends far enough to understanding both the explicit assumption of your statement (that there are people who do not deserve a say), and my very simple question. It's not "bait." It arises naturally out of what you said. What "sorts" exactly do you mean? Way to go, you've managed to conflate your own meanings with what I wrote yet again while at the same time not only showing that you had an ulterior motive but showing your own thought process. Read what i said. Read it very carefully. Notice that nowhere at all did I say that some types should have no say. That is you placing your own interpretation on what I have said and reacting to that instead of what was actually said - as usual. That's not even a very clever evasion, Solar. But that's fine: I think you've implicitly answered my question anyway. Have a lovely Christmas, Solstice, or whatever it is that you celebrate. There's no evasion whatsoever, Scylla. You chose to interpret what I wrote a particular way and ran with it instead of asking for clarification. You asked a "question" based on a statement that was not made. Now you can choose to believe that some answer was given, certainly. Just as you can choose to believe an evasion was made. In both maters of course, you're quite wrong at the end of the day. Donations of cookies are always gratefully accepted. Thank you! Believe it or not, I rather like baking. Hmmm. Maybe I should try this "baking" thing one day? There are some great ideas here. Does LL read the forums at all?